Have only had 1 treatment. Technician was very informative and friendly. Real test will be if the mosquitoes disappear! Wonderful, effective, awesome service! We love this company and the owners! Conscientious technicians who are mindful of our pets and their safety. Dependable, thorough and the communication is consistent and professional! We have hired this group for the past two years and will do so again this coming year. Beyond thrilled with the professional and informative staff! Your team always lets us know they are about to spray and remind us to keep our dog inside. They also ALWAYS remember to shut our rear gates on their way out which is so important to dog owners like us. Just like your ad says we have TAKEN OUR YARD BACK as our summers are spent outside now ! Thank you to you and your staff! This service really works! They are also very good at communicating via email or phone about when they will be there, and letting you know when they are there so you can get your pets inside. Great people to work with. I love Mosquito Man!!!! It transforms a summer in Annapolis by the water!!! Excellent service -- Yard free of mosquitoes. Couldn't be happier! Luv my Mosquito Man. We have reclaimed our yard and can enjoy having the kids outside and neighbors over without having to spray down with deet. We are in a wooded area so even going from the house to the car was a challenge. Can’t recommend them enough. IT REALLY WORKS! Their employees are wonderful also. Great job, came out at the last minute for a party. We have been mosquito free for the past 4 years! Great service. We can use our yard again! Thank you! Reliable service as needed. No more mosquitoes! We have been very happy with the service and thankful that our neighhood is very happy as well. Great owner. He cares! Seems to have done a good job. Very pleased with the process and the results. Awesome service!!!! Will always recommend to friends! 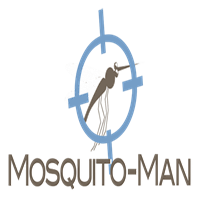 Mosquito Man always sends courteous and professional employees to get the job done. Our parties and cook-outs are always MOSQUITO-FREE! Your effective service has allowed our grandchildren to enjoy the outdoors! Some reacted with large welts to mosquito bites, which is what caused us to reach out to you several years ago. Thank you for solving that problem for us. At the start of the season, I was frequently working in my garden and ended up with 6 ticks in 2 weeks. I signed up with Mosquito Man and didn’t have a single tick bite nor nary a mosquito bite for the rest of the season! I was amazed. Highly recommend. CJ in Hunt Meadow. Always comes through. Even for a Saturday party and then came Saturday. My wife, daughter and I host an annual Family and Friends event at our home each year. This year was particularly special because my granddaughters first birthday party was scheduled and I connected with family members through DNA for the first time. We planned the event out and everything seemed to go smoothly. What we didn’t anticipate was the large volume of mosquitoes that had inhabited our yard due to all the rainy weather. The mosquitoes were ferocious. Biting you several times just walking from the front to the back of the yard. The fact that cases of the West Nile virus are up dramatically this year in the DC area was also of great concern. We tried spraying the yard with the product you attach to your garden hose for mosquitoes with mixed results. The product worked marginally until it rained. Then they were back on the attack with a vengeance. I think we just aggravated them more. Then I remembered the circular for the Mosquitoe Man. I called and made an appointment with no hassle. The receptionist was very attentive and professional. I explained my concerns and was added to the treatment schedule the following week before our event. The treatment technician was also attentive and professional. He explained the treatment process and addressed all my concerns and questions. I received the perimeter treatment for mosquitoes and was a little concerned that the entire lawn wasn’t done. This treatment also included the trees and shrubs on the property. I thanked him for coming out and waited the 30 - 45 minutes drying time. The test 1. The next day I went outside to mow the lawn. No mosquitoes. The following day it rained all day. I went out after the rain. No mosquitoes. I cut my lawn in a tank top tee shirt to make sure and was never bitten. Test 2. The Event. We had over 100 people at the event. No problems with mosquitoes at the event. Granted nothing is full proof and always 100%. I do know I didn’t received any complaints from our guests of mosquitoes. I also had 6 cans of repellent in my garage as backups that were never used. I would count this as a success story. I would highly recommend this service to those with a similar mosquitoe issue. It worked for my family. We can now enjoy the back yard as it was intended. Thanks Mosquitoe Man for saving the day. We appreciate the service that your offering and will us it in the future. Thanks again. The Ball family. 👍. Excellent service. Have not experienced mosquitoes since starting with Mosquito Man several years ago. Mosquito Man is the best! They email prior to arrival; they won't spray unless all your windows are closed so your pets won't get sick; they put a sign in your yard following the spray so you know they were definitely there and better yet you won't have any mosquitos or other biting bugs when you sit outside! Great service all around and very friendly every time they show up! Technicians in field did a very thorough job, and office was very responsive. Will use them again. So far no ticks on dogs! Excellent service no mosquito problems all summer- courteous servicemen. Kenny is our serviceman. What a wonderful representative for your company. He’s friendly, and does a complete job. Pleasant and professional. Very easy to work with. Great communications, I always know when they are coming. The couple of times I've met the crew they have been very friendly. As far as mosquitoes, what mosquitoes? We live in an area where sweeping the back deck meant a dozen or so bites on the ankles, no more. Has made an incredible difference. We have been pleased with the service. It is nice to be outside again with no mosquitoes!